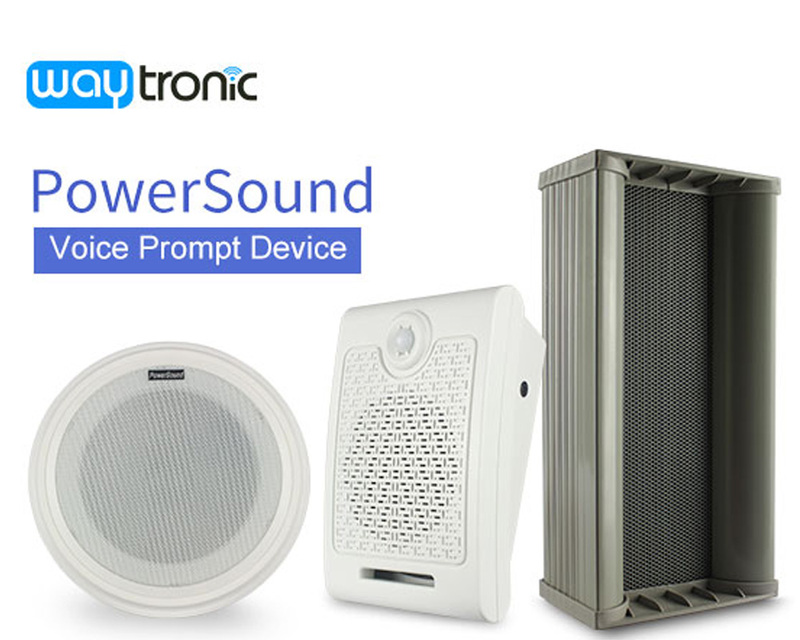 Shenzhen Waytronic Electronics Co., Ltd. is a professional supplier which provides a variety of voice player, to provide customers withFull-featured, good qualityvoice player ,voice playerx258c1a6nand voice player and so on. Since the company had been established in 4th Floor, 11th Building, Factory Building, Fuan Second Industrial City, Dayang Development Zone, Fuyong Street, Bao'an District, Shenzhen, China,Bao'an District,Shenzhen City,Guangdong Province,China, adhere to people-oriented ,and the quality of survival, to the credibility of development,our company have made an outstanding achievement. 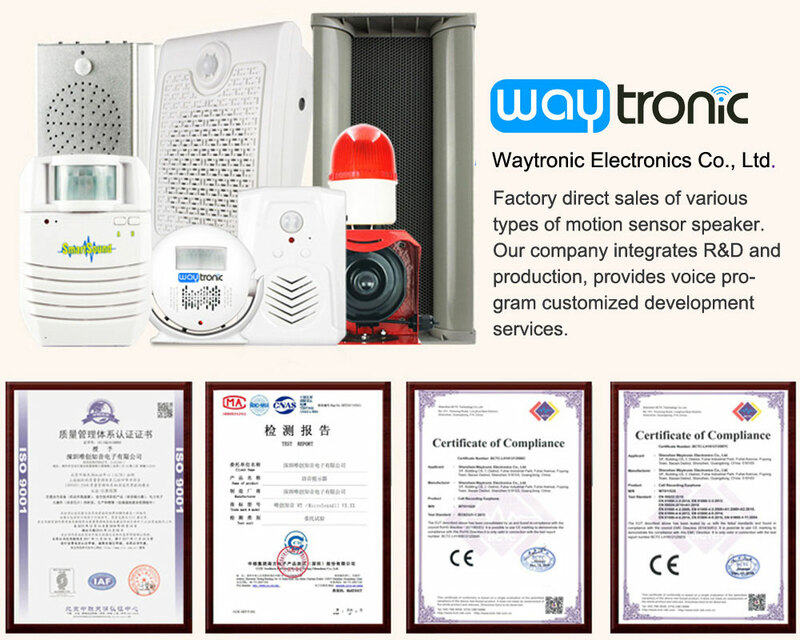 The advantage of Waytronicspeech chipis that it can provide more professional and thoughtful solutions timely and accurately according to the actual needs of customers.At the same time, Our company follow the latest developments on Industry and agriculture,Security,Security monitoring equipment, and establish long and steady partnership relation with many well-known enterprises in the same industry , to provide customers with the most professional, advanced call recorder.Details:Product DescriptionPowerSound OD outdoor powerful amplifier speaker uses mature microwave human body induction technology. When detecting human body passing by, it can play voice at the first time, can also replace different voice at any time according to different occasions, to achieve different playing effect. It is suitable for harsh environment, not affected by temperature,humidity, noise, air, dust, light Product FeaturesAdopt microwave human body induction technology.Sensor has wide induction range.Offline voice change is available, no need of tool or software. Power-off memory function.Built-in the most competitive MP3 module with high sound quality, supporting MP3 audio file.Built-in SPI-Flash, can store voice of 5-30 minutes. Support SD card play (no support for SD card hot plug function currently). With no SD card, it will play voice in SPI-Flash.Maximum support of 32G SD card.Support two playing modes: order cycle mode, single mode.10-level volume control.Built-in 10W power amplifier.Support 433M remote control to control playing. Optional function: the previous, the next, volume up, volume down, single cycle, all cycle.